How Are Genetically Modified Tomatoes Made? Scientists have always been intrigued by the tomato. It is the only fruit that is treated like a vegetable and that has many nutritional benefits when eaten. To enhance the goodness of tomatoes, scientists have been toying with the idea of making genetically modified tomatoes for many years. It was finally in 1994 that the first GM tomato variety hit the markets of the USA. This was known as the Flavor Savr. These were the transgenic tomatoes made by deactivating a particular gene in them. Before the birth of this tomato, the vegetable was harvested while it was still raw and ripened artificially during the transit or in storage. This was done to ensure that end consumers received ripe tomatoes in premier condition without softening. But, how are genetically modified tomatoes really made? 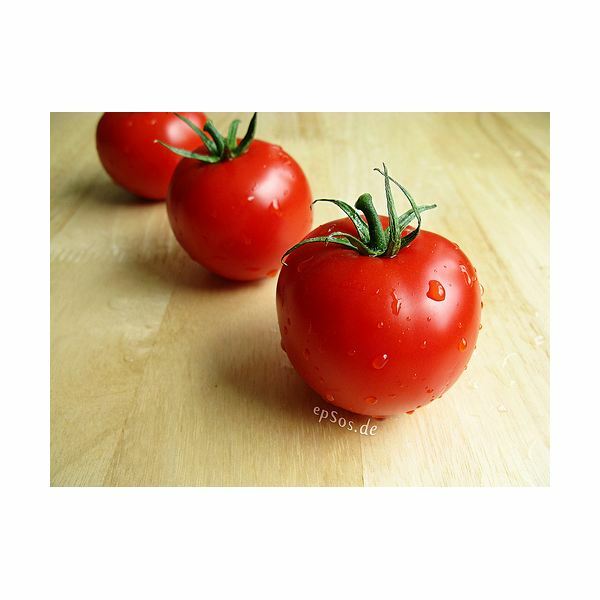 What the Flavor Savr was brought into the market, it was a tomato that was made by a process called the Antisense approach. Because of a deactivated gene, the tomato plant was no longer able to produce an enzyme known as polygalacturonase, which was responsible for fruit softening. The tomatoes could now be left to ripen in the vine and still have a longer shelf life. The Flavor Savr had its advantages, like the tomatoes could tolerate lengthier transport time, they could gain all the nutritional qualities of ripening on the plant and they could also be harvested simultaneously. Threat of the plant gaining undesirable properties. The microbial quality of the soil changing due to the modified crop grown. If the food product was made antibiotic-resistant, it could have the same effect on humans when consumed, leading to failure of antibiotic-based treatments. Probable biological disaster if some undesirable traits were transferred to animals and humans after eating the altered tomato. As a result, the Flavor Savr was soon out of production and removed from the market. In spite of the setback, researchers in all parts of the world are still busy creating genetically modified tomatoes. The purpose is not just for delayed ripening, but also for providing the tomatoes with new traits like resistance to insects or pests, fungal and viral infections, and enriching them with chemicals that are beneficial health wise. Recently, scientists have been able to again suppress two types of genes from tomatoes and create genetically engineered varieties that have a shelf life of more that 45 days. Although this kind of tomato is not commercially produced, scientists claim that it has all the goodness of a regular tomato with no harmful side effects and a substantial improvement in shelf life. It is also believed that this kind of approach can be extended to other food crops such as bananas, mangos, papayas, etc. that soften rapidly once picked. In another research study, tomatoes have been made more nutritious by boosting the production of foliate and giving 25 times more then the normal amount of foliate in a single tomato. This can be extremely beneficial for those people and countries where lack of food and sufficient nutrition leads to many health problems. Pregnant women too can benefit from foliate enriched tomatoes as babies need the chemical for proper development. The downside to enhancing the nutritional content of tomatoes with foliate has been that it has also increased the level of a chemical known as pteridine. Although most fruits have this chemical, no known effect to human health has been recognized, therefore, the good or bad effects of excessive amounts of pteridine in the tomatoes is still debatable. It is also certain, that people might want to avoid having tomatoes that might lead to harmful effects in the future. Presently, there are no genetically modified tomatoes that have received authorization to be grown commercially. While scientists believe that genetic modification is a way of solving many critical problems of nutrition, health, crop yield, crop longevity, etc., the point to ponder is whether such kind of tampering with nature will do us good or a lot of harm giving rise to newer, complicated problems in the future.